When I saw that Shiny Shiny was raving about some magnetic jewelry, I had to go take a look for myself. I've actually made a few pieces of jewelry myself that included magnetic clasps, but that's admittedly pretty much the whole of my magnetic jewelry experience. The company is called Ever Together (get it? Magnets, together, forever?) and they have a pretty large line of jewelry designs. including rings, necklaces, and bracelets. I agree with Shiny Shiny that the newest line, Spectra, is nice and colorful, though their silver jewelry looks pretty interesting too. The incredible strength of these permenant magnets must be seen to be believed. Their force is so strong that under normal use the jewelry will stay on even during vigorous activity. These magnets will never lose their magnetism! 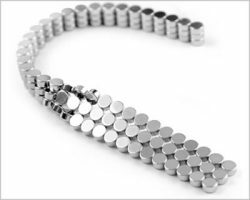 Their strength is so amazing that you can remove a few pieces hold them in your hand and move them around from underneath with the rest of the bracelet. They won't come off under normal use since the magnets are more attracted to each other than any other metal object. If they do fall off the pieces won't go very far and they will most often hold together in groups. 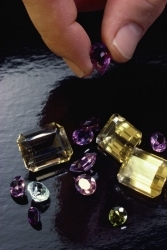 For a gemologist, judging color in gemstones is really a critical part of the job. Yes, there's clarity and those other C's, but color I think is super important. I know for me, when I'm buying gemstones, that's pretty much the first thing I consider. I mean. An amethyst, for example, can be clear as a bell, but it's not the right color, who cares? It never occurred to me until I read this on National Jeweler that some gemologists may have issues judging color accurately. My poor dad is colored blind. It is really amazing to see the kinds of clothes he puts together. True, he's a severe case, but even a little trouble distinguishing color and shades can be a big problem for a jeweler. Luckily, they actually have a test for jewelers and gemologists. More from National Jeweler: The American Gem Society (AGS) will introduce a new, improved version of its color deficiency screening, designed to identify how well appraisers and jewelers judge color, at the JCK show in Las Vegas. The HRR 4th edition Pseudoisochromatic Test for color deficiency screening provides valuable knowledge for professional appraisers or anyone engaged in the purchase, evaluation or valuation of colored gemstones or fancy colored diamonds. Here are some of my weekly picks from the jewelry and fashion blogosphere. Holiday weekends mean hanging out with friends and taking a little time off, and that's what Almostgirl did with her pal as they enjoyed brunch together, talking about fashion and beauty and the "biz." ChicAlert notifies us about a Virginia Riley jewelry sale (pictured). Coutorture tells us about beauty secrets from Nadine Baggott. 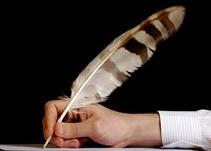 designersREPORT.com discusses the creative process and remembering. What kind of jewelry and other accessories go with dark denim? According to FashionTribes, it's red, red, red. Along with some great red jewelry picks, she includes some audio to go with. Fashionable Kiffen offers some summer beauty tips. Beading and jewelry explains the basics on how to become a jewelry designer. Kristopher Dukes interviews jewelry designer Jules Kim. The GIA has a new boss man, and the Bling Blog reports the low-down on this. The Manolo has the latest on the on-going Carnivale of the Couture. For those in the United States celebrating Memorial Day today, here is some patriotic jewelry I found at Raymond Jewelers. Something I've noticed about novelty-type jewelry is that it is often, how shall I say this? Umm…cheap. Yes, I'll just come out and say that much of what I see in the way of flag and red, white, and blue jewelry in the states tends to be the 99 cent stuff located in a bin next to the grocery store cash register. Ick. 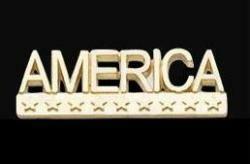 So, I thought this jewelry from Raymond Jewelers was a nice departure from the dollar store variety. Many of these jewelry pieces are also unisex, so again, don't forget jewelry for men here. Stainless Steel Jewelry has become a big hit in many of the Scandinavian countries. TeNo has a modern design using stainless steel as the main element in their designs. The design varies from pure stainless steel jewelry, to combine the steel with pearls, diamonds, precious stones, ceramic, gold and rubber. TeNo also designs modern engagement rings/wedding bands using stainless steel adding an exciting new wave to the often 'very' traditional designs available and can be a cheap alternative. TeNo designs include earrings, rings, necklaces, pendants, bracelets, watches, belts, key chains, cufflinks, leather wallets, tie clips and money clips. Here is the website for further information and a peek at the exciting designs. I've been seeing a lot large rings lately in all the fashion magazines and on lots of web sites. Word has it that the cocktail ring is back in vogue. I'm not totally sure how I feel about wearing rings. I do wear them, but I'm not one of those people who switches them out. Instead, I tend to wear the same old rings all the time. What about you? Do you change your rings to match your wardrobe? Hmm…maybe if I had some whooper rings like these from Baccarat I'd remember to change my rings more often. Thanks to ADJAB for this heads-up on a wacky and wild gemstone story. Seems there's a turf war going on between Mattel's Barbie and MGA's Bratz dolls, and to help even the score and gather more little girls to their side, each company is adding a little extra bling, in the form of real gemstones to each. 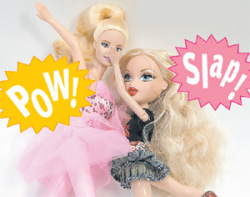 From NY Post: Barbie and Bratz just can't seem to play nice. The shin-kicking battle between the doll brands, owned respectively by Mattel and MGA Entertainment, is expected to get nastier this summer with the introduction of competing lines that have a common allure: real jewels. Mattel said yesterday that it plans to introduce a new My Scene My Bling Bling doll in July that includes a "real gem ring" for $19.99. The original line of Bling Bling dolls, available this spring, featured only faux jewels. Meanwhile, MGA is preparing for its Aug. 1 launch of the Bratz Forever Diamondz collection. At $29.99, the dolls come with jewelry embedded with a real diamond chip. 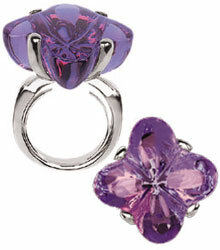 Style.com offers loads of fashion information, including the latest trends in jewelry. Gleaned from Candy's A-List of Accessories, I collected some bracelet finds for you. Chanel seems to be her favorites, but you can view lots more jewelry as well as get the inside scoop on other fashionable accessories such as purse and shoes for fall 2006.